• Piling dirty dishes over clean ones in the dishwasher. Extra clean? • Forgetting the diaper bag, and then watching your son squeeze one out in a corner. 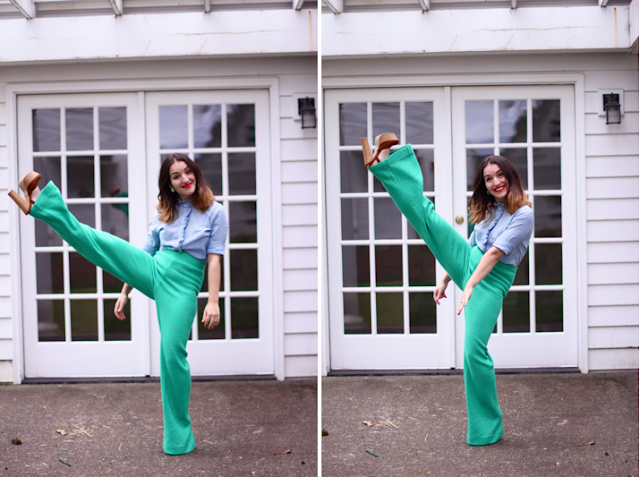 • Looking four months pregnant in very unflattering, green, vintage bell bottoms. • Your one year old pulling your shirt down in public for a swig. • The mess in my bedroom from switching seasonal wardrobes (see below for the awesome part of that). • Remembering being in labor this time last year. • It's baby guy's first birthday! • The weather we've been having lately (I feel like a comment on the weather is mandatory in one of these sorts of posts). • Replacing my winter wardrobe with a summer wardrobe. • Park dates with baby friends (Jude melts in the baby booty swing).